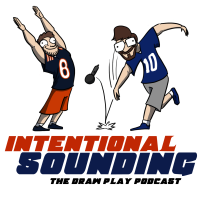 So if you aren’t listening to INTENTIONAL SOUNDING: THE DRAW PLAY PODCAST you may not have gotten as much surprised amusement as I did from the recent news that the Giants kicker, Josh Brown, is a domestic abusing piece of crap who currently has a one game suspension thanks to an arrest last year. Several weeks ago for the podcast I brought on a fellow Giants fan named Nick (who’d been on the podcast before) to join me and Sam to talk some football during the off-season weeks. To fill some space since off-season news was slow, we decided to do a segment about crazy or silly predictions about the upcoming 2016 season. Me and Sam gave the usual sort of predictions, but Nick took it a step further and said (Paraphrasing here) “This year a kicker will beat his wife”. It caught us all off guard and it became the running joke of that episode. The elusive Scumbag Kicker. Turns out, now I have to ask Nick if he is a wizard, because guess what? We’ve got a scumbag kicker, and here’s the kicker (Pun totally intended): The kicker is the Giants kicker. Now both of us are annoyed, surprised, and kinda freaked out, while Sam just laughs at us. So at this point the Giants will probably need a new kicker. They will for one game at least as he will serve a suspension for the recent issue. But now that people know about Brown, it seems like more and more information is coming to light about the guy, none of it good. It’s true. We finally got the elusive scumbag kicker. Jeff Reed can retire his crown. I’m going to assume the Giants will cut him soon and just replace him with whoever they manage to get. This isn’t a good time of the year to suddenly need a kicker. Unless most of the stories coming out against Brown are proven false or whatnot in the coming months, I’d also imagine Brown will have difficulty finding a new job. No team wants the domestic abuser on the team now, Ray Rice sufficiently and thankfully poisoned that well, for everyone except Jerry Jones. But even Jerry didn’t bring Hardy back. We Seahawk fans have known Josh Brown was scum for years. I didn’t know he was a domestic abuser, but it’s not incredibly surprising. Why do Seahawks fans hate him? Because he left for a division rival despite having a comparable offer from the Seahawks. I’ll always fondly remember him taking down Devin Hester, though…. What if my owner is an abusive scumbag? Josh Brown was so good last season but it’s going to be easy to find a replacement for him if we do cut him. Wow, what a scumbag. I know I’d never do anything like that. Smh. You’d rather get arrested for DUI. That was just for the draft so I could avoid shitholes like Cleveland and the Jets. This guy thinks the Browns would avoid a qb with character concerns. It obviously worked though. They took Cody Kessler over me. Lmfao. Did you skip better NFL stories to plug a joke from your podcast? Asking for a friend. So now we wait to see if the giants cut him (I don’t like him as a kicker all that much anyways, I really wanted to win that Jets game) or if they let it be and be attacked by sports talk for a week. Can we rename “The Draw Play” to “the Draw Giants Football comics”? Three giants comics in a row. ¯\_(ツ)_/¯. I don’t care make as many as you want Dave. Technically 4 if you count the Bosa one. How much do I have to donate to get you to stop making Giant comics for awhile. That’s grammatically correct. Using “I” would be incorrect here. Using “Sam and me” is also correct and most people would prefer it, but it’s not a rule.